In a previous post, I talked about my family’s biennial trips through Europe to the Philippines, that always culminated with stops in Hawaii and San Francisco. The 5 of you who read this blog probably already know that my brother and I were raised in suburban DC; Vienna in the ‘70s, and Great Falls in the ‘80s to be exact. In 1980, Great Falls consisted of farm land, horse country, and one intersection, near which was Buck’s Country Store; a combination convenience store, post office, and bait/tackle shop. Some of my classmates were children of the senators and congressmen who commuted into DC. They mostly lived in McLean, the affluent suburban town next door. Others were pick-up driving, confederate flag flying, tobacco-chewing, bass fishermen with gun-racks in their trucks. Those were my neighbors in Great Falls. Nice boys, but country boys. It was such a small town back then, that our Catholic church didn’t have an actual physical structure. Mass was held in Great Falls Elementary’s cafeteria. Funds for the new church were raised by selling Krispy Kreme donuts. We had moved to Great Falls when I was 12, and I don’t think the church was actually complete until I was 16. So there were a lot of Sundays spent amidst that faint whiff of dirty dishwater. Or was it institutional mop water? You know what I’m talking about. Suffice it to say, there weren’t a lot of asian families in Great Falls at that time. In fact, the only other one lived right next door to us. There might have been 5 of us in each class at my high school. Bullying was definitely an issue. So it goes without saying that one of the many reasons I loved visiting Hawaii so much was that I looked like the majority of people there. I didn’t stick out. In fact, on one visit, a tourist asked my mother and I to pose for a photo, assuming that we were local. I can’t speak for other immigrant children of color, but for me, that feeling of belonging, not being an outsider was profound. It played an instrumental role in my decision to move to the islands in my late 30s. Of course the glorious sunshine, and white sand beaches were influential too. We stayed at the Sheraton Waikiki during every visit. Back then, there was a huge, shell chandelier in the lobby. I can still hear the tinkling sound it would make from the strong breeze that cut from the beach through the entrance. I think my brother and I spent hours every day floating on inflatable rafts in front of that hotel. So much so that at night, laying in bed with fried, brown skin, it would still feel like we were floating in the gently lapping waves. 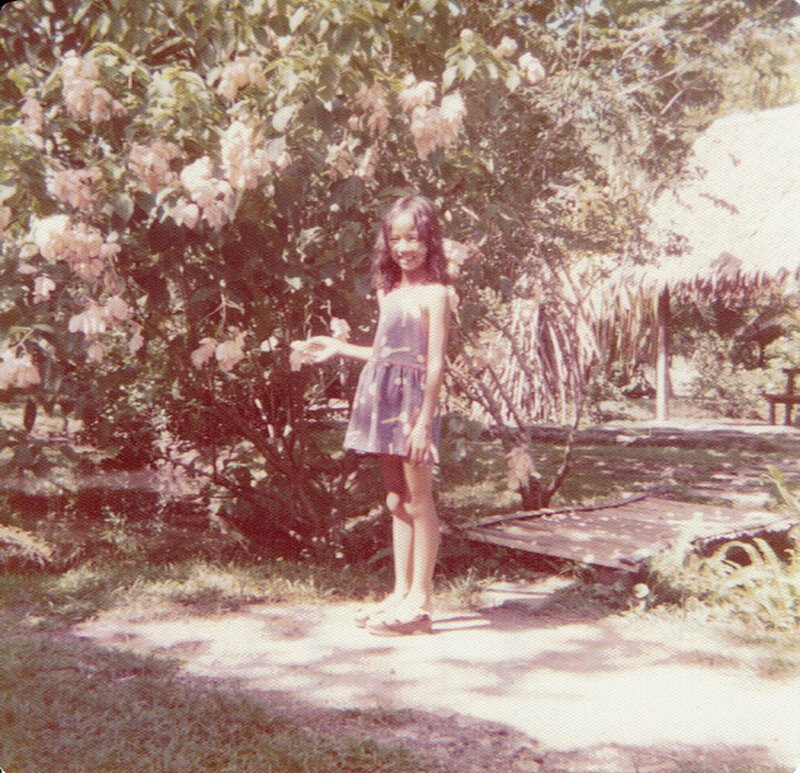 I don’t remember much from childhood, but those languid vacation memories are ones that I hold onto tightly. As I round out my MBA and search for jobs, I hope to return to the islands. I know that one can never really return to a place, and all the reasons that I left in 2015 are still relevant: the cost of living, limited opportunities, etc. So I keep my search open to Southern California too. Living so far away from warm surf, so focused on internal pursuits, has left me feeling disconnected from my body. I miss my brown self and want to feel healthy and strong again. Here’s to finding a job in paradise and looking like a local again. Older PostRun Away to Italy? Why Not?